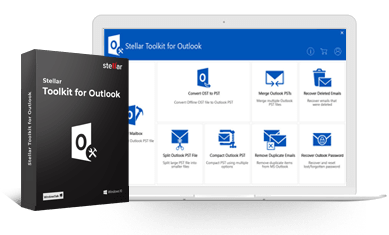 Since, Outlook PST files save various email items including contacts, messages, tasks, attachments, notes, etc thus we can say that an Outlook PST file is a repository of MS Outlook which stores all the information created, received, or sent, locally on your system. Recovered large outlook pst file and 30GB encrypted folder from a crashed no longer bootable and repairable Windows 7 hard drive, although the software "recuva" was unable to do so. So, worked perfectly and saved me a lot of time and anger! Thanks! This software is the most flexible for archive (.OLM) files in Outlook 2011. It runs smoothly on Mac OSX environment. I had successfully recovered my Outlook Mac backup files with this awesome utility, also I would highly recommend to others who may have the same problem I did. I was not feeling well with traditional archive process in MS Outlook which includes risk to lose my important emails. This software had fulfilled splitting operations without hampering data integrity of original file. Now, we have full control over Outlook email application due to excellent software suite. This software helps to manage all corner of email application like PST management, password recovery and backup procedure. Now conversion became easier on cross platform among email clients. Now, I have no reason to think about compatibility issues with variety of email clients. I tired numerous tools but my search ended with Stellar OLM to PST converter. It exported entire OLM file into PST file format. It successfully converted each dbx file according to Windows Mail environment.